Ever since the Food and Drug Administration became official in 1906, they have approved some very interesting things. Aside from the regulation of fly eggs in food, and rodent hair in chocolate, the FDA has recently approved Botox as a suitable drug for helping those who suffer from an overactive bladder. Of course, this may seem like a laughing matter because of all the other things Botox has already been approved for, but with the general idea of Botox being to relax muscle, it fits all the criteria. For many women, an overactive bladder is a terrible symptom that comes with age. Many mothers will blame their children for ruining their bladder control, and in fact, they can blame their kids all they want because a large portion of the problem is from childbirth. Upon having a child, there become instances where the affected muscles cannot tighten, hence the lack of control. However, it was Jean Reich, 75, that came across a study at Jefferson University Hospital in Philadelphia that could solve the problem that affects 33 million other Americans. Along with tightening skin, and decreasing perspiration in armpits, the FDA approved Botox as a legitimate solution to solving overactive bladder. Is there anything this drug can’t fix? During their study, the FDA reported after 12 weeks, participants experienced a significant decrease in urinary inconsistency. The bladder is lined with muscle, and upon injection, the Botox relaxes the bladder therefore lessening the urge. 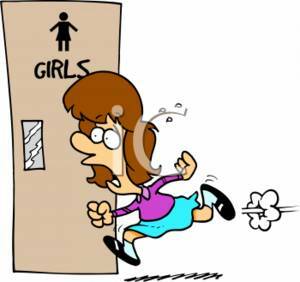 So, no longer will teenagers be embarrassed by their mothers going to the bathroom every five minutes. The procedure is minimally invasive and takes about 10 minutes. Since her discovery of therapy for her bladder, Reich has had seven more injections. Although that may seem like a lot, she is walking proof that it works by not running into the nearest pizza shop to use the bathroom anymore.